Vancouver is the third-largest metropolitan area in Canada and has classed as a Beta global city. Though awarded as one of the top ten cities in the world for better liveability, nowadays, it is famous for being a hub for technocrats. Yes, with high standards of living and relaxed immigration policies compared to the USA, Vancouver has become a favourite destination for tech firms across the globe that look for best foreign talent and a window for innovation. Even Silicon Valley companies too opting to open their 2nd headquarters in Vancouver as it is with the close proximity with San Francisco and Seattle. Not just that, Vancouver has also become popular among-st technocrats due to some of the high-grade software and mobile apps were conceptualized here including Kik, Hoot suite and Slack. 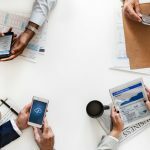 Today, there are some prominent tech companies based in Vancouver including some of the most reputed app development companies too. If you are looking for the best company for app development in Vancouver, all you need to do is to read this post and you will be introduced with the best app development companies. The Canadian government is business-friendly and has introduced some excellent policies to encourage start-ups to come up with new ideas and innovations. Gastown has become a new centre for startups across the country and there are new companies that are making their new homes in Vancouver. Also, there is a vast pool of talented human resources available in Vancouver and the decisions of the companies to relocate here actually make sense. 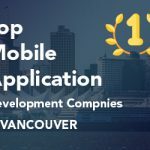 Let’s discuss some of the best companies for app development in Vancouver. 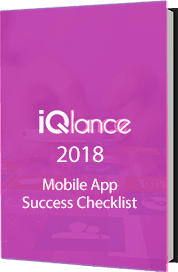 iQlance has carved a niche for itself by offering valuable and scalable app development services to clients. It is a young team of enthusiastic and talented app developers who work together to bring the best outcomes for clients. From conceptualization to deliverance of the app, they will ensure that the clients get what they are looking for. Their expertise lies in offering the best user experience to the users. They stay updated with the latest trends and tools in the app development industry and put them into practices to develop highly scalable and superior apps that function in the best possible manner. Hire them to get a custom app with even complex features and functionalities. Located in Vancouver, Calgary and Toronto, Essential Design is a team of talented custom app developers who know how to make clients happy with superior and robust custom software and app development. The company emphasizes more on creating the splendid user experience for apps it builds. Whether it is software or a mobile app, the company leaves no stones unturned to ensure that the clients get a high-quality, feature-rich and attractive end product that serves the core purpose. The developers are having years of experience and expertise in their respective domains and leverage their expertise to bring the best product on the table. From conceptualization to wire framing to full app development, they offer 360-degree software and app development services. They will also deploy the end product. They have separate teams for each app design and development processes such as iOS and Android coding, wire-framing, UI/UX designing, development, testing and app store approvals. The best team with the greatest brains is here. It is an interesting fact that the company was founded to kill the popular myth that technology is not for lay-man. The company strives hard to simplify the complex tasks of clients and the team. They come up with different strategies to simplify the complex tasks and come up with premium, high-quality outcomes that match the world standards. From requirement gathering to development to deployment, they believe in doing things in a funny yet professional manner. Vog Vancouver App Developers has a main headquarter in Vancouver and a development center in Canada. The company just started now and deals in software application development, website development and custom app development. They work with the clients on a contractual basis and you can rely on it for highly valuable error proof web, app and software development. If you are looking for a custom app development company, Vog Vancouver App Developers is a name you can trust on. The main focus of Crysberry Studio is on research and development of Virtual Reality and Augmented Reality products for the entertainment and education industries. The company believes that the first stage of product realization is very important and they offer the best R&D services to the clients for the initial stages of the product development. Also, the company offers excellent recruitment services to its clients. They offer managed services to the clients by introducing them with the best technical brains in the industry. TwoTallTotems is a renowned company that deals exclusively on web development, app development and database management. The company is located in Vancouver, Canada and has set a benchmark by offering the best services in its domain. The company offers the best scalable and robust app and web development services in a given timeframe. The developers are talented and experienced and have an in-depth understanding of development stages and product development. They will come up with creative ideas to carry out tasks in a more meaningful manner. 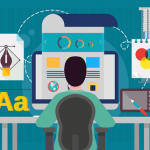 They create best, innovative and creative solutions by investing in user interface, user experience and designing. Located in Victoria, BC, FreshWorks Studio is a prestigious name when it comes to designing and development of web application and app development services. They majorly deal with commercial and enterprises. They will listen to your idea and come up with the best scalable, feature-rich web and mobile applications that are of world standards and serve the purpose. The company has a team of young, passionate, and skilled developers who keep the clients in the loop at each development stage to get their valuable inputs. App-Scoop Solutions Inc is a dedicated web and app development company based in Vancouver that deals with custom, polished web and mobile applications that perform well. With custom software and app development solutions, you will be able to take your business to the next level. They have a team of experienced and skilled experts who are best when it comes to website and app development. Just share your idea with them and they will do the rest. The best part of Convergence Concepts is that it caters services to a wide range of industries such as medical systems, social media platforms, digital marketing tools, mobile photography, retail e-commerce apps and many more. Based in Vancouver, Canada, the company offers custom software and mobile applications that catch attention with their unique and custom features and serve the core purpose of the clients. They also offer highly valuable software consulting services along with software and app development services. In addition to that, the company also caters different management services such as corporate structuring, industrial partnering, business development and other services. Radical I/O is a name you can trust when you are looking for web and app development. They offer logical solutions that bring the paradigm shift in the way businesses conduct their processes and operations. Being an in-house development facility, they accept small, medium and large projects as they have a team of best-skilled development experts in the country. The company is located in Vancouver, Canada and has a team of 45 web and application experts who will make your web or all development project like smooth sailing. They come up with unique solutions that match world standards and at the same time, serves the company goals. From requirement planning and specifications to online storyboards, budgeting, schedule development, design and development, testing and CMS integration and hosting and deployment services, they will ensure that everything goes as planned. Appsitude was founded in 2015, by Chris Kelsey, an alumnus of Forbes 30 under 30. The company is famous for its unusual, revolutionary ideas and offer high-end consulting services to companies across the world. The company was taken over by Cam Upson. If you are looking for a best 360-degree mobile app development company that solely dedicated to mobile app development, 14 Oranges is a name for you. The company has carved a niche for itself by offering highly valuable, scalable, feasible and robust mobile app development. 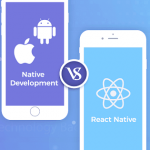 The company caters mobile app development services in native iOS development, native Android development, React native development and Unity game development. The company has professionally collaborated with fortune 500 companies of various business verticals including retail finance, healthcare, on-demand services and many more. 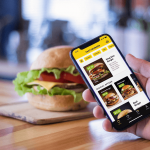 They have a skilled team of app developers, designers and testers and project managers who will ensure high-end mobile apps that have an excellent user interface and user experience. If you are looking for the best mobile app development in Vancouver, 14 Oranges is for you. In a short span of time, team iQlance Solutions has seen exponential growth as more and more software and app development companies are making Vancouver their 2nd headquarters or innovation centers. Choose any of the companies listed above for your web or software or custom app development to have best, robust and innovative technical solutions. 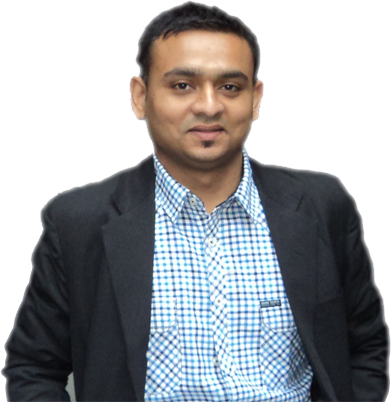 I’m Krunal Vyas, IT consultant at iQlance Solutions Pvt. Ltd, has been working on various software solutions for mobile platforms and web. Among our achievements are already more than 400 successfully implemented projects. Therefore, if you have an idea for a startup.